Is Jogos Santa Casa a Scam or Legit? Read Reviews! If you are looking to play lotteries of Portugal, the official site requires that you be a resident and have a Portugal Bank Account. JogosSantaCasa.pt is very clear about this including a whole section in their terms and conditions explaining rules on geographic location. This online lottery provider hosts five national lotteries. But again, you must be a resident of Portugal to play. Keep in mind the site itself is only available in Portuguese. Jogosantacasa.pt offers five Portugal lotteries – EuroMilhoes (Euro Millions), Lotaria Clássica, Lotaria Popular, Totoloto, and Totobola. There is also Raspadinha – scratch cards. We all know about EuroMillions. Totoloto is played twice a week on Wednesday and Saturday using five numbers from 1 to 49 plus a bonus ball from 1 to 13. 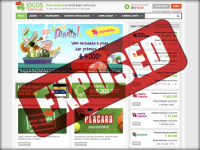 Jackpots start at € 500,000 and grow. Totobola is a sports betting game that players select win, lose or draw on 13 different football games. Lotaria Classica is a raffle-style lottery drawn every Monday. Lotaria Popular another raffle-style draw with predetermined numbers played every Thursday. The exciting thing about Lotaria Popular was it started in 1783. For each of the lotteries, there are additional ways to expand your odds by playing more than the official number of numbers on your ticket line. Obviously, this costs more. There are also options in multiple draws though it doesn’t appear there are any discounts. There is no syndicate information available. Prizes €150 or less are credited directly to the player’s account. Prizes over €150 but less than €2,000 are transferred to a Portugal bank account. Prizes over €2,000 and less than €5,000 must be claimed by using a form plus proof of identity. Prizes over €5,000 must be claimed in person within 90 days of the draw. Prizes will be available between 13 and 90 days after the draw. The minimum withdrawal from the player’s account is €25. Tax (stamp duty) applies to prizes over €5,000 at a rate of 20%. Who Can Play at Jogo Santa Casa? Players must be residents of Portugal and have a bank account there. If you are pre-registered and overseas you can continue to play. You must also be 18 years of age or older. Play can be through your computer, tablet or smartphone/SMS services. Make sure you file the necessary documentation (identify) within 30 days to validate the account. Loading the account with money is restricted to no less than €5 and no higher than €300. Under Portuguese law, credit cards cannot be used. Players must acquire a “Player Card” which is funded through either ATMs or direct banking. This money must come from the actual account of the player. If you have questions, there is a snail mail address for the “Games Department of Santa Casa da Misericórdia de Lisboa.” Their office is open from 9:00 am to 12:30 pm and 2:00 to 5:30 pm Monday to Friday. There are also phone numbers (national and international) and email addresses with offices open from 8:00 am to 12:00 midnight. Would you mind rating JogosSantaCasa.pt ? This is an official lottery site for playing Portuguese lotteries by people who live in Portugal and have a bank account. There is a nice variety of lotteries to play with good jackpots. The only downside is 20% of any jackpot does go to the government. This site gets a thumb’s up for people who are residents of Portugal and a thumb’s down for the rest of the world. If you do live there, this is a nice way to get your tickets without heading out the door.